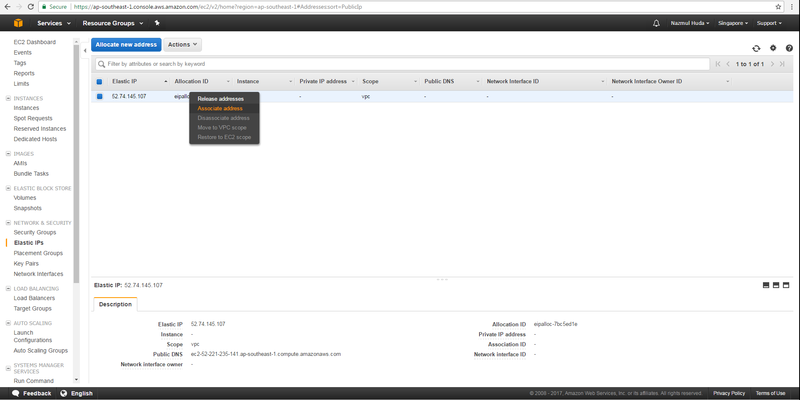 After reboot an IP Adress can be change in AWS. 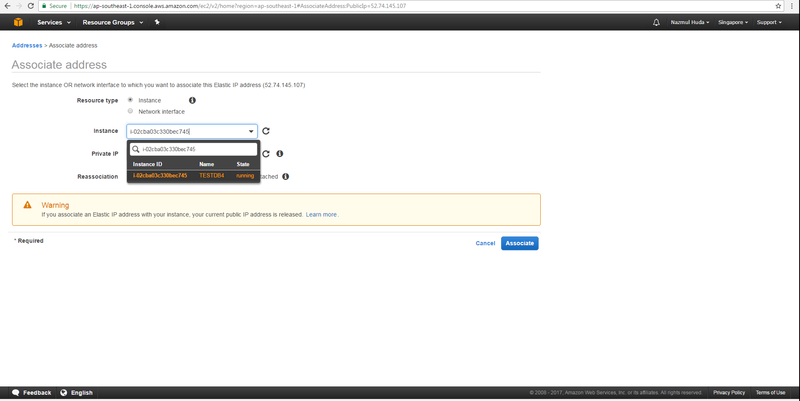 In that following example we will see how to fix an IP Address. 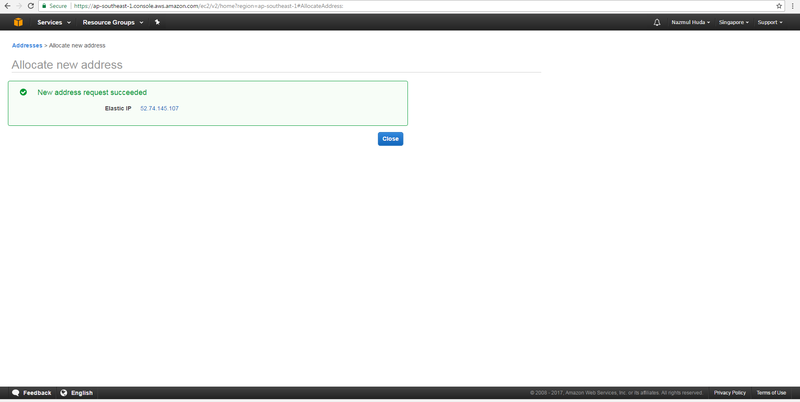 In the following example We will fixed the IP address of a Instance TESTDB4. 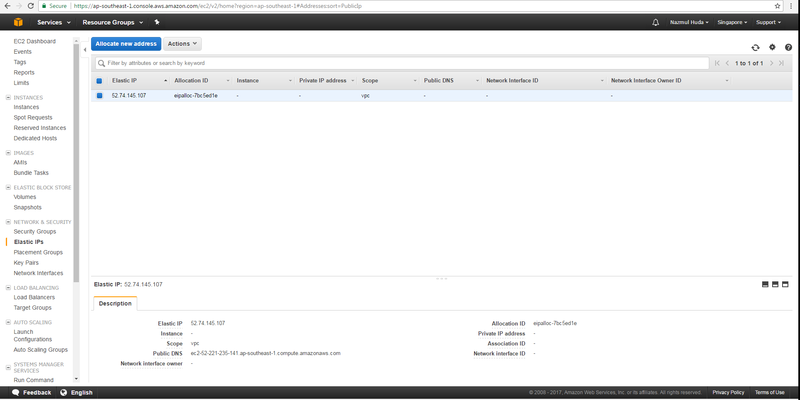 The IP address marked in the following picture will be change after fixing the IP Address, note that after fixing the IP address you will lose the old IP address. 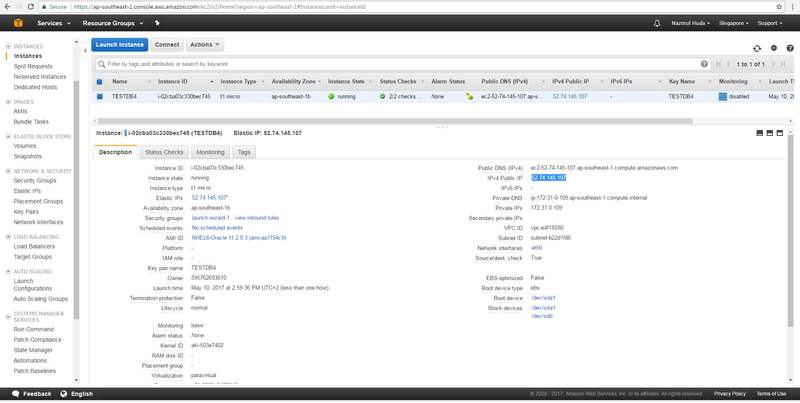 In EC2 Dashboard select NETWORK & SECURITY-> Elastic IPs and Click "Allocate new address"
Now you can see the newly fixed IP Address that we are going to associate TESTDB4 Instance. 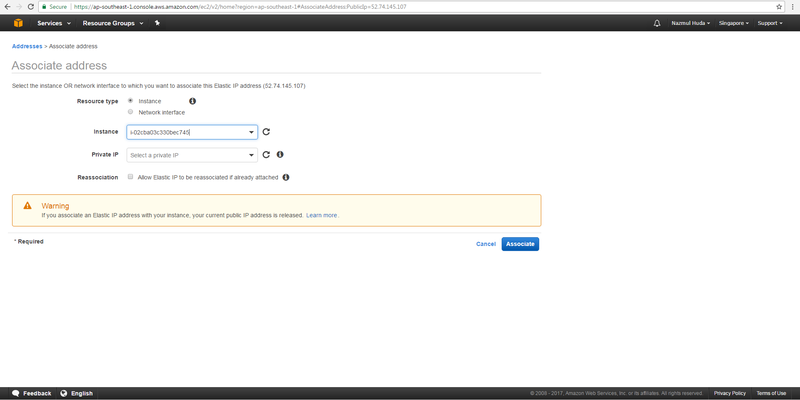 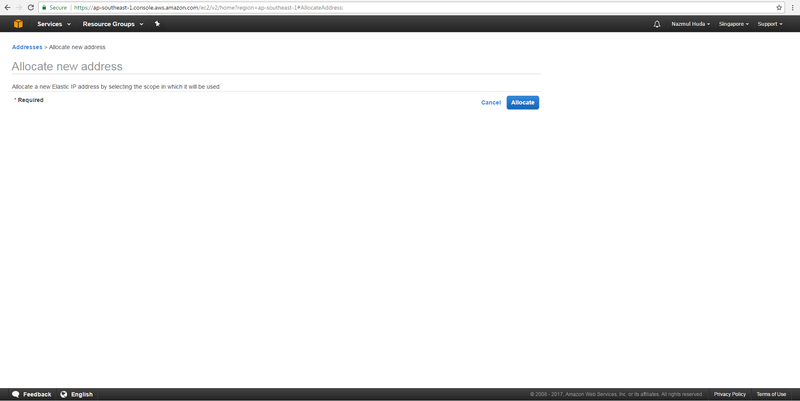 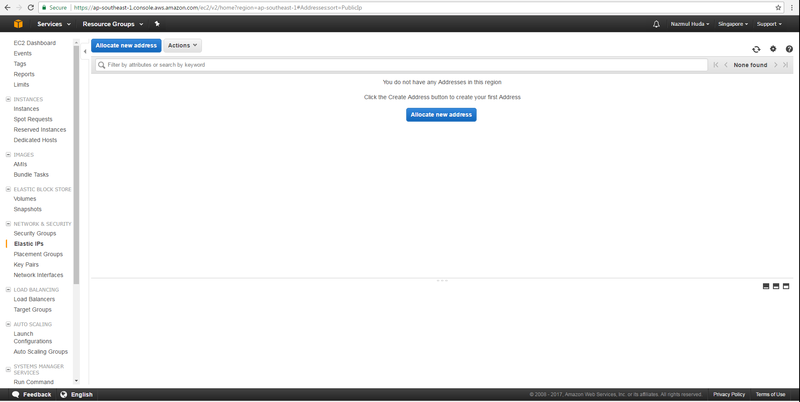 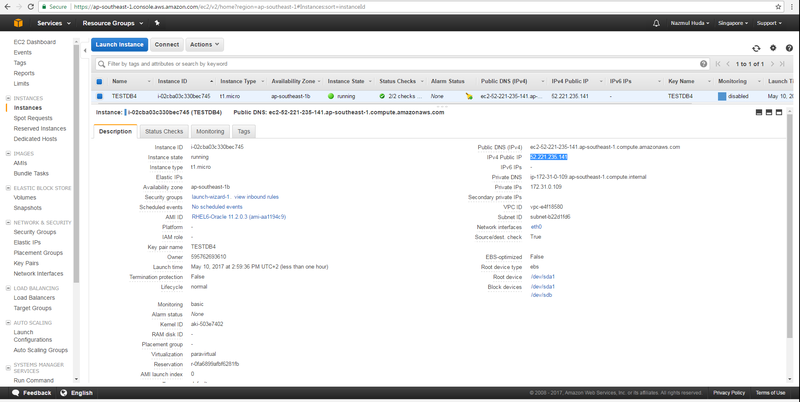 Get the Instance ID of TESTDB4. 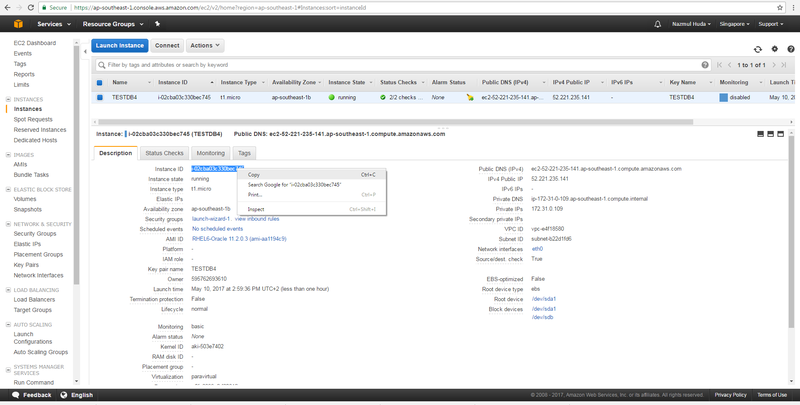 Select the IP row, right click it and click "Associate address"
Now you can see the IP address has been changed in TESTDB4 Instance and the IP address has been fixed.